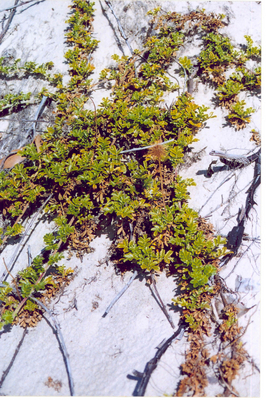 Many small green or purplish flowers in dense spherical heads which dry to reddish burrs. Leaves have been used as tea substitute. Suitable below powerlines. Seed usually has good results without treatment.